Click to see a few snaps of Gordon’s soundboards under construction. Another tuner has this photo of Gord on his website. 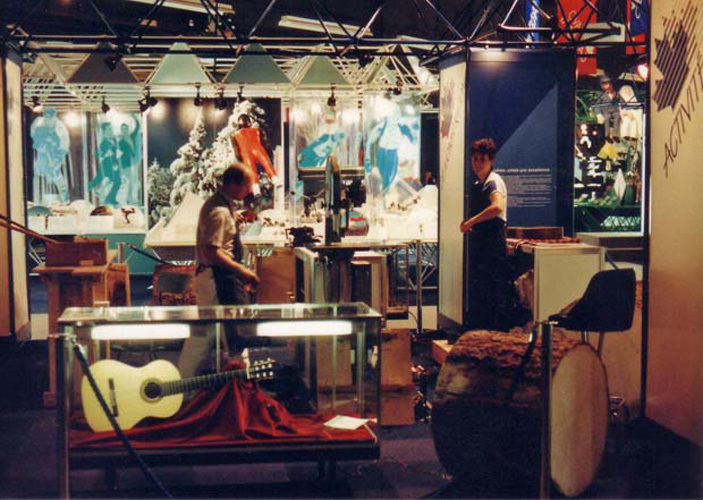 Gordon fitting a soundboard. He’s got a couple of snaps of me too – hey, I’m flattered! 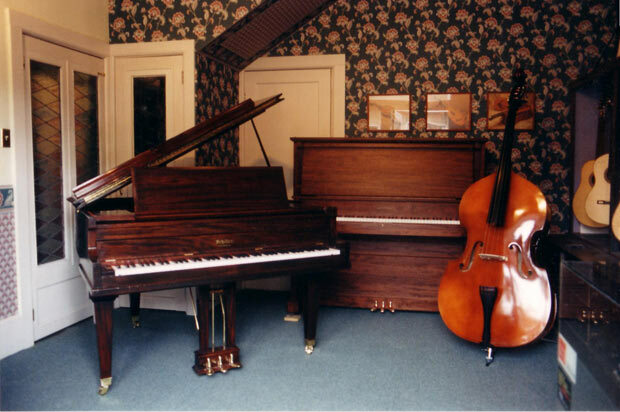 One year, Gordon made 9 foot concert grand soundboard blanks for an American company making handbuilt pianos. 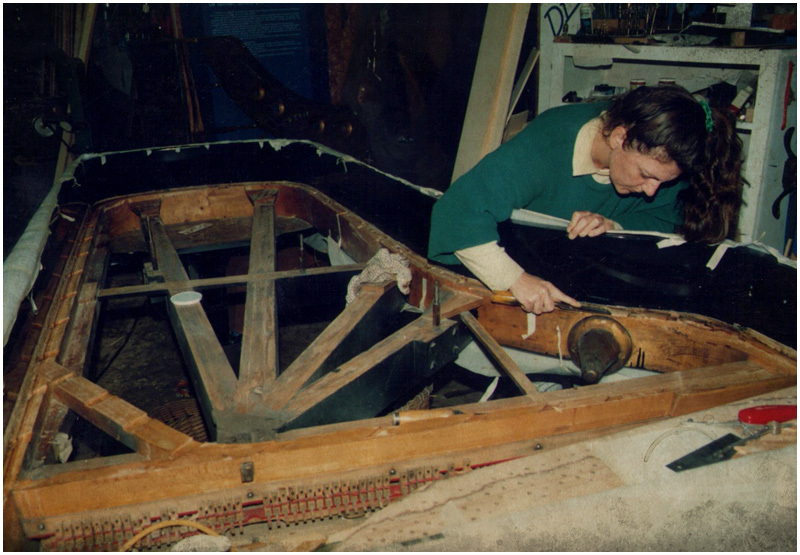 Gordon organized an interesting repair for a broken plate in a STEINWAY 1860’s CONCERT GRAND PIANO. 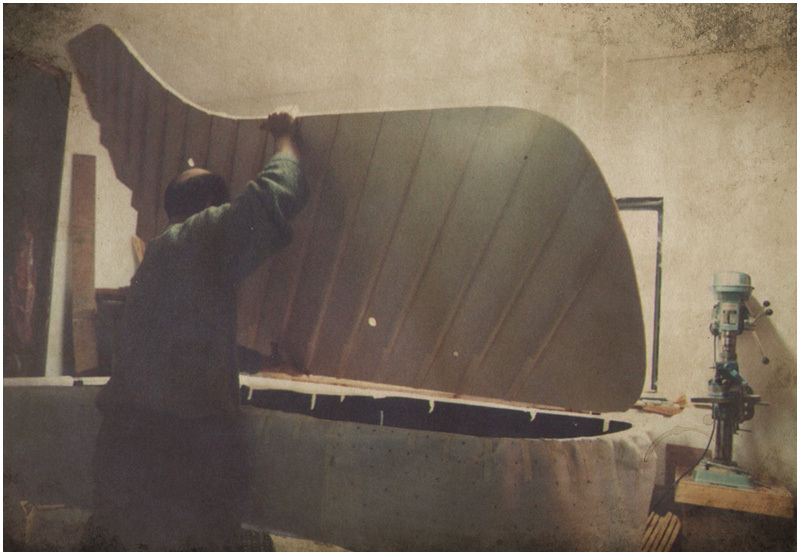 After Gordon dismantled the piano, the plate was shipped to a top notch welder who repairs jets and antique cars. Then Gordon transported the piano and plate to our workshop. 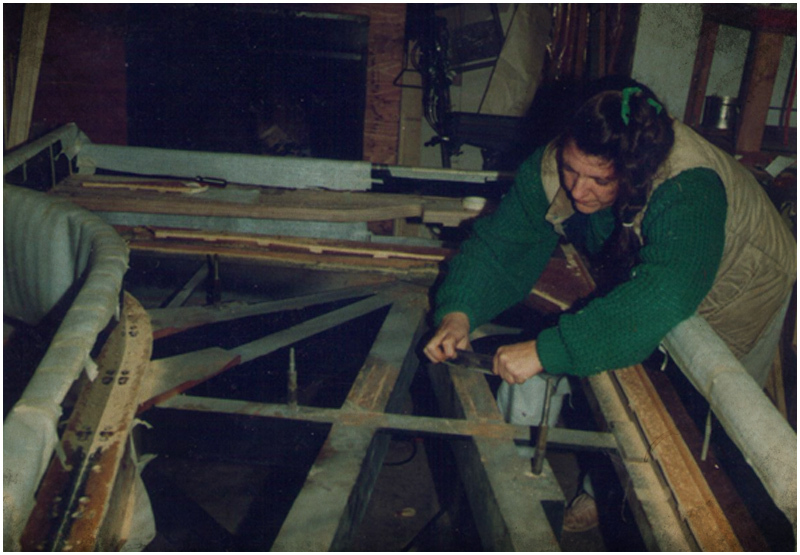 Gordon designed, manufactured and installed an interior steel brace to support the plate under tension. He had new plate bolts machined. 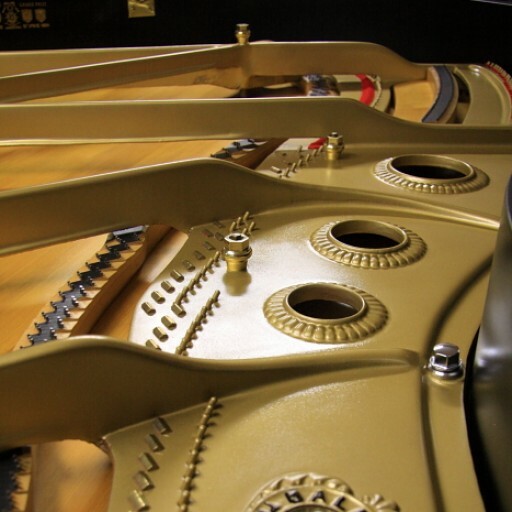 He repaired the pinblock, drilled, pinned and installed new strings and carefully monitored the plate for any movement during pitch raising and tuning. It was a successful project.